The Department for Business, Energy & Industrial Strategy has not achieved value for money for its £100 million spend on the second competition for government financial support for carbon capture storage. "The Department has now tried twice to kick start CCS in the UK, but there are still no examples of the technology working. There are undoubtedly challenges in getting CCS established, but the Department faced an uphill battle as a result of the way it ran the latest competition.Not being clear with HM Treasury about what the budget is from the start would hamper any project, and caused particular problems in this case where the upfront costs are likely to be high. The Department must learn lessons from this experience if it is to stand any chance of ensuring the first CCS plants are built in the near future." The Department for Business, Energy & Industrial Strategy (the department) has not achieved value for money for its £100 million spend on the second competition for government financial support for carbon capture and storage, according to the National Audit Office. Carbon Capture Storage (CCS) is a process to avoid the release of carbon dioxide (CO2) into the atmosphere. CCS has the potential to help the UK achieve its ambitious targets to reduce CO2 emissions, if it is used in the power and industrial sectors. 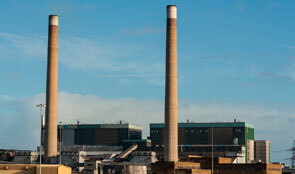 The Department also spent £68 million on the first competition on support for CCS, which it cancelled in 2011. Today’s report found that the Department’s plan to use a second competition to develop and deploy carbon capture and storage was ambitious, but ultimately, unsuccessful. Achieving this goal was challenging because the untried nature of the technology meant the costs and benefits of the proposed projects were inherently uncertain. Given the level of challenge, it was an achievement for the Department to sustain negotiations with the preferred bidders to the point where it gained valuable technical and commercial knowledge about how to deploy the competition projects. But any value that could be gained is contingent on the Department applying the lessons it and the sector has learnt as a result of the competition. The NAO found the Department began the competition without agreeing with HM Treasury on the amount of financial support available over the lifetime of the projects. This ultimately contributed to HM Treasury’s decision to withdraw £1 billion of funding from the competition, leading to its cancellation, as it was concerned about future costs to consumers. The Department had, however, designed the competition so it could withdraw from supporting its preferred bidders without incurring cancellation costs. The terms of the competition contributed to one of the two shortlisted projects being unlikely to reach the construction phase. The Department funded two developers to undertake work that would reduce the commercial and technical risks surrounding the construction of the first CCS plant. One of the two shortlisted projects, backed by a consortium, was not able to present a proposal compliant with the Department’s risk allocation as it was struggling to allocate risks between the parties involved. The other competition was more commercially viable but would have had fewer benefits for reducing the costs of subsequent CCS projects. Many stakeholders think the government needs to carry more risk if it is to enable CCS to be deployed affordably to consumers. The Department’s approach to allocating risk was in line with wider energy policy. But following the competition, many stakeholders think the government should bear more risks, particularly over stored CO2. Government taking a greater share of the risk could reduce delivery costs but would expose taxpayers to losses in the event of risks materialising. The NAO found that flaws in the Department’s design and implementation of its Levy Control Framework, which caps the costs of certain consumer-funded policies, also impacted on CCS investors’ confidence. In developing the next phase of CCS, the NAO recommends that the Department should maximise the potential value from the competition by incorporating into its new CCS strategy the lessons it and the key stakeholders have learned.